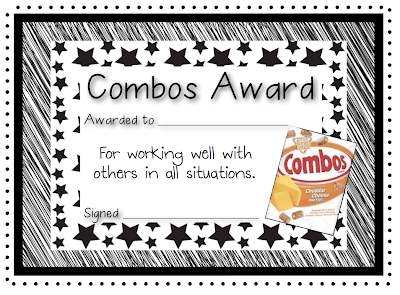 I plan on using the "Combos" award for three different students this year. 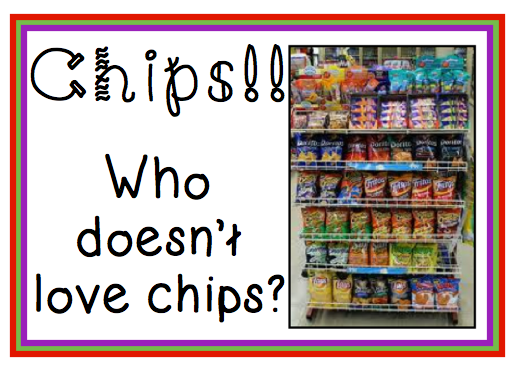 I have three kiddos who really work well in groups and "include everybody" with a good attitude. 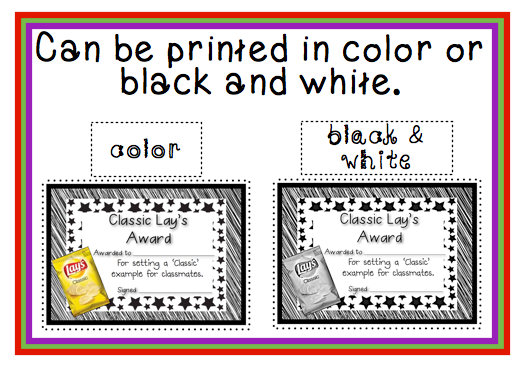 Last year, I printed these awards on cardstock in black and white. This year, I plan on doing the same thing. I think they look just as good and saves on colored ink. 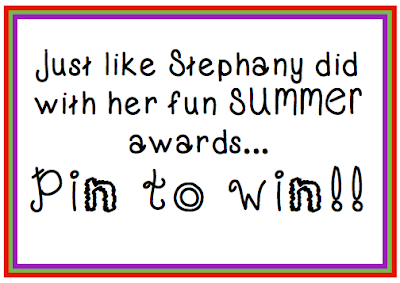 Stephany posted about her Summer Fun Awards here. 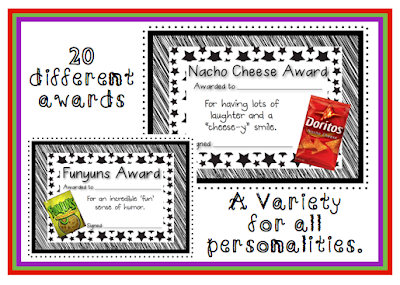 Click... to read about all the fun awards available. If you would like a chance to win these awards, leave a comment about where you blogged, pinned, or Facebook'd this post. Stephany and I will both announce our winners of the awards tomorrow on Five for Friday!! Winding Down~ Year End Awards! Product Swap- Max the Math Muncher! Awards and a Chance to WIN! !